Los Blancos deeply rely upon Ronaldo‘s form to win games and their poor first half of the season descended to their striker’s failure to score enough goals, but now reverse is the case and he has returned to his best, and again turned out to be the significant difference for the European champions. It took Real Madrid quite some time to return to their winning ways, so much that it has taken a toll on their title pursuit and to comprehend their poor first half of the season, it is important to take a look at Ronaldo’s stats. Ronaldo had only one goal after 12 games and needs almost 55 shots to find a single goal but now the goals flow easily, as he found the net four times against Girona over the weekend, the same number of goals he created from the whole first half of LaLiga. Real Madrid’s position on the log table after the first half of the season, without their lethal goalscoring Portuguese forward in form, was fourth with 35 points, 5 points far from Valencia, 7 from Atletico Madrid and 16 from undefeated table-toppers Barcelona. Truth be told, in the first half of the season, without the Ronaldo’s goals, Madrid were on the verge of jeopardizing their place in next season’s Champions League. Their position in LaLiga brought about Toni Kroos expressing the need of maintaining the top four spot. Kross admitted. While Ronaldo’s snail-like form was the principal issue behind Real Madrid’s poor start of the season. And when Ronaldo is taking care of business the only way he knows how to, Madrid is an unstoppable train and this has been the case in recent years, and that is how it is now, particularly, in this second half of LaLiga, as the Portuguese star has scored 18 goals since January 21. Ronaldo’s goals have been influential in the results of the Spanish giant, balancing out nine League victories, one draw and only a single loss since their game against Deportivo. Los Blancos have included 25 points and are leaders of this second half of the championship.They are even ahead of Ernesto Valverde’s side, who have gathered 24 points, while Atletico has 22 points and Valencia 19. 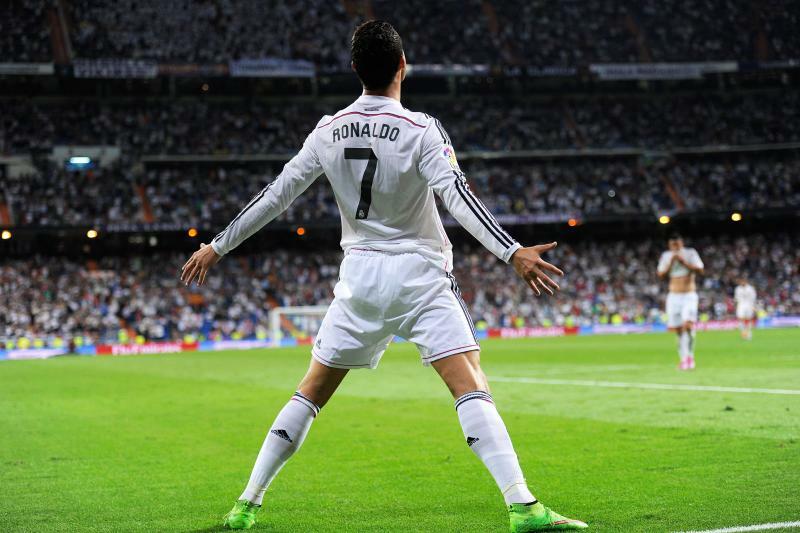 Madrid’s sudden comeback has been down to the Cristiano Ronaldo, who has re-established the lethal side of Madrid. If Ronaldo had started the League at this awesome form level, Madrid LaLiga title ambition would have a different story.